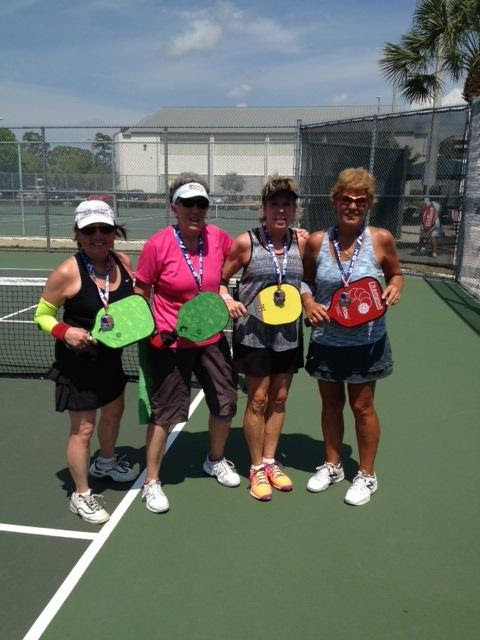 The Sarasota County Parks, Recreation and Natural Resources Department is accepting registrations for its Fifth Annual Pickleball Slam, which will be held March 23-25, the county has announced. “This year’s tournament will take place at three locations to accommodate more players and skill levels,” a news release says. Competitions will be held on the outdoor courts at the Englewood Sports Complex, located at 1300 S. River Road in Englewood; and on the indoor courts at Arlington Park, located at 2650 Waldemere St. in Sarasota, and Laurel Park, located at 509 Collins Road in Laurel, the release points out. The slam will be an open play tournament with double elimination, with competition conforming to United States of America Pickleball Association rules, the release notes. Players may participate in up to two events in the men’s, women’s or mixed double’s divisions. The cost is $10 for the first event and $5 for the second event, the release adds. Laurel Park will host beginner’s play for levels 3 and under inside the gym, the release continues. The Englewood Sports Complex will host levels 3.5+ on the outdoor pickleball courts, while Arlington Park will host levels 3.5+ for those who prefer indoor competition, the release says. If enough teams register, each division will be divided into two age brackets, based on average age of players for that grouping,” the release points out. T-shirts will be provided to all participants, and top finishers will receive awards, the release says. Registration forms are available at all Sarasota County Recreation Centers, or people may enroll online at scgov.net/parks. Registration closes March 11. This is a great opportunity for players of all skill levels to compete against other players from surrounding counties and gain tournament experience, the release notes. For more information, contact the Sarasota County Contact Center at 861-5000, or visit www.scgov.net.